Juan Ramirez Jr. Former Chief Judge - Mediator & Arbitrator based in Coral Gables, Florida. Juan Ramirez, Jr., retired Chief Judge Third District Court of Appeal, after 24 years of service on both the trial and appellate courts of the state of Florida. He was a JAMS Neutral for almost two years before forming his own LLC, ADR Miami LLC. 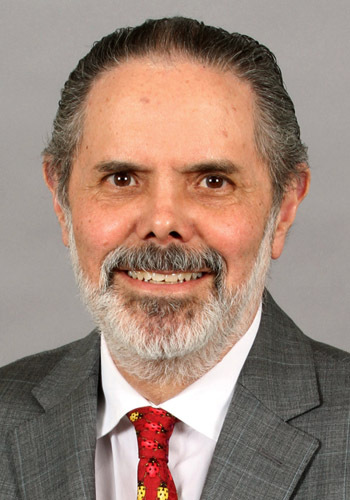 A prolific writer, former Judge Ramirez authored a three-volume treatise entitled "Florida Civil Procedure," originally published by Michie/Lexis Publishing in 1997 and a three-volume set entitled "Florida Evidence Manual" published in 2000, also by Lexis. He continues to write yearly updates for both treatises and has also written for a number of Florida Bar publications and a casebook on Florida Civil Procedure, published by Carolina Academic Press. In addition to writing, former Judge Ramirez has taught numerous law school courses and has lectured before many legal organizations. His extensive experience as an appellate and a trial court judge, author, and teacher have provided former Judge Ramirez with an acute understanding of the law, sound judgment, and a sharp legal mind. Born in Havana, Cuba, former Judge Ramirez is fluent in Spanish.